I was very happy to check out one of the newer food halls, City Kitchen, late last year while in the Times Square area. I use Port Authority bus terminal often going in and out of the city, and this location at 8th Ave and 44th is very convenient. 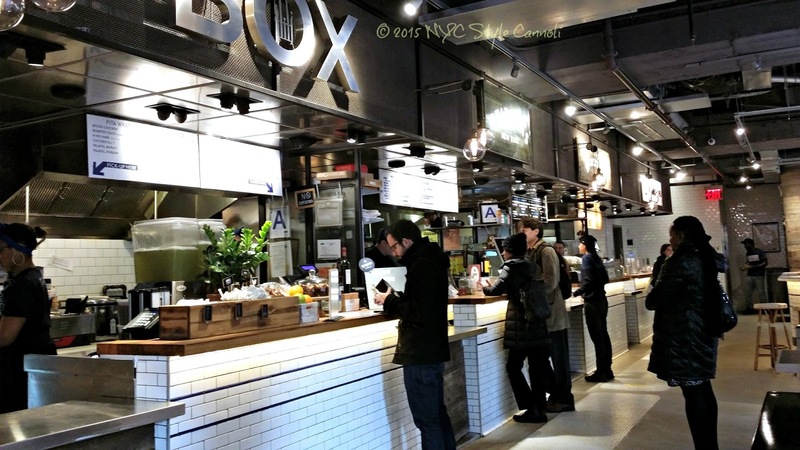 Located inside The Row NYC Hotel (used to be The Milford Plaza, not a favorite of mine), it offers 4,000 square feet of various wonderful food vendors! I find this a great place for me to pop in when waiting for my bus at Port Authority, especially if I want to take some items home with me. The menu's are all very affordable, most items under $10 which is perfect for lunch or when you want an inexpensive dinner quickly. 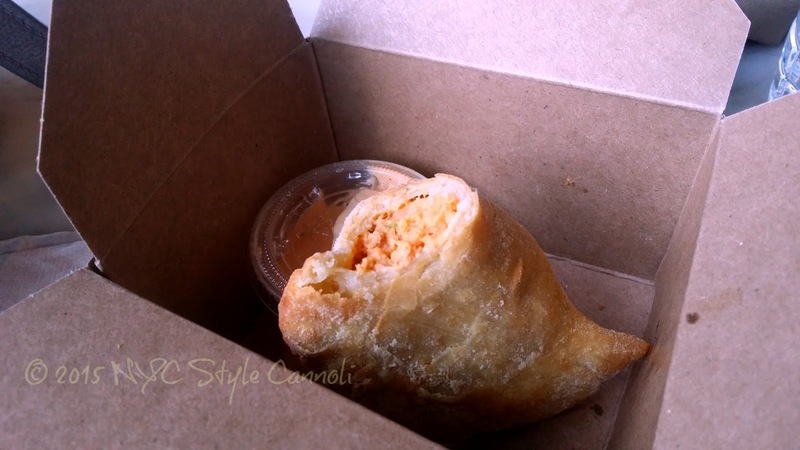 I had a chicken empanada which is a homemade mexican turnover filled with Organic chicken sautéed with potato, onions, cilantro & tomato. I have to say, I was underwhelmed with this, it wasn't fresh, just re-heated. I need to try something else at Gabriela's Taqueria as I hear the fish tacos are amazing. I would not do one of these again however. A few snaps from City Kitchen instagram account to make you very, very hungry! I really love these food halls, with the different selections of foods. 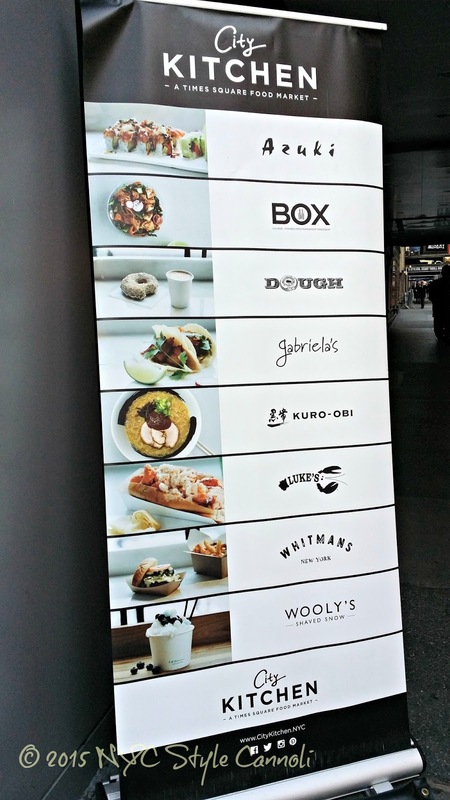 Perfect for groups, or if you want to try one thing from each different vendor, the food hall makes it so darn simple. 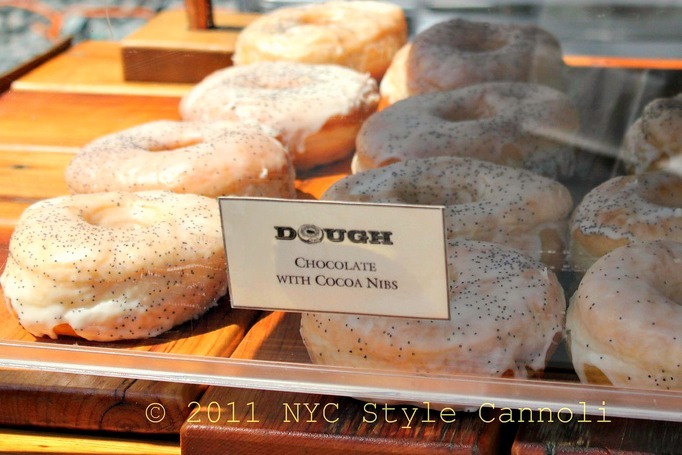 Dough doughnuts are always amazing, and I am so glad we are able to purchase them easy in the city with their various locations opening. I will be back here again, for sure, as the location is great for me. 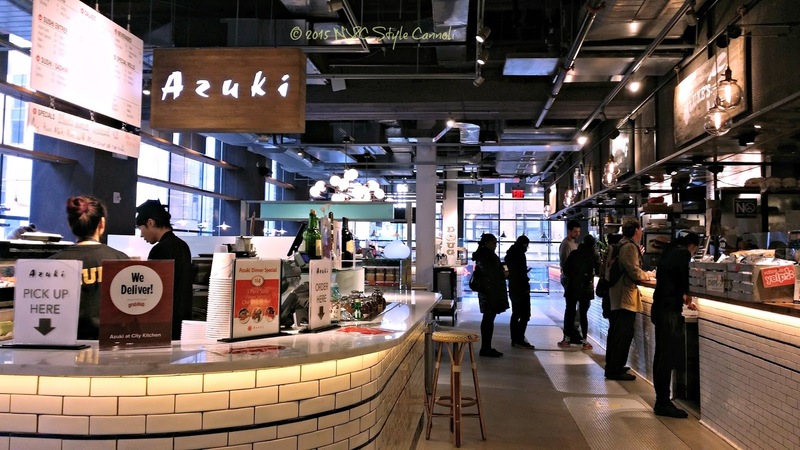 There is ample seating as well, you can sit in the food hall area or in the Row NYC hotel lobby. I find many of these places lack enough seating, but this one seems to have a nice amount available. You can also enjoy a lovely view of Times Square from all the large windows to do some people watching.